In the lobby of a prestigious Wall Street investment firm, one man is dead and another seriously injured. The man accused of the crime is now a fugitive. When the cat-and-mouse game turns lethal, Kruger must use all of his skills and experience to find the truth, protect the fugitive, and ultimately stay alive. Narration - When I see a book narrated by Paul.J McSorley I know the narration will be of the highest standard, and that in itself recommends a book. The Fugitive's Trail is no exception. Great characters, good descriptions, and a storyline that keeps you turning pages/listening. There is detail about how the investigation proceeds (the right amount not too much). I received a free copy of this audiobook at my own request and voluntarily leave this review. Highly recommended - A top class FBI thriller. The Start of an Exciting Series! A man escapes the grasp of two guards, killing one in the process. Killer or victim? FBI Special Agent, Sean Kruger, has doubts about the man’s guilt right from the start, even when witnesses begin changing their stories. As he investigates it becomes still more curious. A man with no past, the CEO of a financial corporation lying and keeping secrets, and the fact that he’s been assigned the case at all, play into this complex thriller. It’s always fascinating to see what hackers can do with computers. That plays out well in The Fugitive’s Trail. Technology not only offers that though. It also provides a means of following and finding nearly anyone. Sean must find the man before the others who are hunting. If he doesn’t more people will die. It’s a terrific story that will hold your interest throughout. The audio is very well narrated by Paul J McSorley. His voice suits Sean very well. The narrator is the same (so far) for the series. I’m so glad there are more to read already. This book was given to me for free at my request and I provided this voluntary review. You can find my complete review on Mystery Suspense Reviews. Give this one a try. You will be glad you did. A refreshing action book with enough subplots to keep the readers interest. The book opens when a man being escorted out of the lobby of a business by two men and he realizes that all will not end well if he doesn’t get himself out the situation. He kills one and injures the other and makes his escape. Going forward we are introduced to Sean Kruger, FBI, and the chase begins in trying to locate the “fugitive”. It's never predictable, has many twist and turns and keeps you rooting for the fugitive. Great read that I could not stop listening to and I eagerly look forward to the next in the series. Enjoyed this book from start to finish. Had never read a Fields book before and can say this one will be the first of many. Great characters, story line and dialogue. Have heard McSorley's work before and once again, he's on top of his game. McSorley adds to the well written characters. This was a nice start to a new series. At first I thought the narrator sounded like he had a good voice for westerns, but I got used to him pretty quickly and he did a good job. I found the characters interesting and the pacing was good. One thing of note, this series is good for readers who don't want their books to be overly sexualized or containing a lot of swearing and foul language. 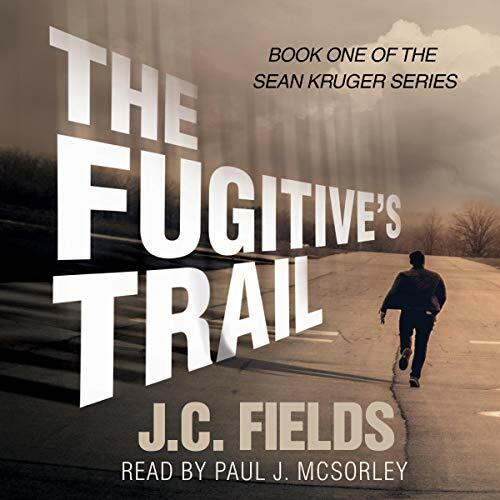 J C Field’s FBI Agent Sean Kruger is a welcome addition to the crime genre. The storyline rocks along at a cracking pace. From New York to the mid west of America the pace never lets up. Mixing action with Kruger’s personal life rounds out the characters making them more human. If you like Faye Kellerman’s work you are sure to enjoy this series. Paul McSorely does a brilliant job bringing the characters to life. This book has me looking forward to more of Kruger’s adventures. Nice listen with plenty of suspense. This was a fantastic and suspenseful story! It had me on the edge of my seat! Highly recommend to anyone who loves a thrilling suspense! J C Fields' book is well-written and holds your attention with all the twists and turns throughout. I enjoyed the narration. Paul brings the characters to life. Could hardly pause my player, so suspenseful. The technical abilities and accomplishments of the computer &quot;hacker&quot; in this story don't come close to being realistic, requiring considerable suspension of disbelief. I'm getting used to that, though, and just accept it. More importantly, I could hardly pause my player to take a break. Fields paced the suspense Precisely to keep me listening. And I really like the characters. The romance is trite and predictable, but integral to the story. Paul J. McSorley delivers a very competent performance. He gives distinctive and appropriate voices to the characters, although his accents aren't always accurate. It's never difficult to follow dialog. I want to hear more about these characters and look forward to more in this series.